Sandpiper Cove at Botanica is a condo community that sits just off Military Trail between Donald Ross and Indiantown Road. It's located in the heart of Jupiter, within walking distance of Sea Plum Plaza (Publix, Starbucks and many other restaurants and shops). Sandpiper Cove consists of 233 two and three-story condos that vary in size from 1,300 to 2,000 square feet. The neighborhood offers a community pool and large sidewalks for biking and walking. 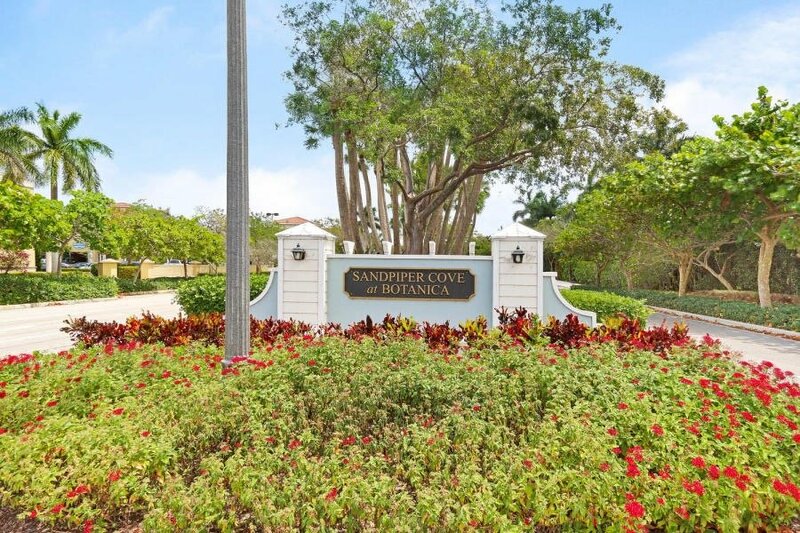 Sandpiper Cove is close to the beaches, golf, Abacoa and Roger Dean Stadium (spring training home of the Cardinals and Marlins). It's minutes to I-95, the Turnpike and just 25 minutes to Palm Beach International Airport. Families enjoy that it is zoned for top rated schools.